Dr. Cowan is a founding member of Healthier Kids Bainbridge, a group currently focused on improving food and health education in the schools. Dr. Cowan and his family enjoy theater, music, winter sports and cooking. Dr. Cowan works on vintage Volvos for fun. 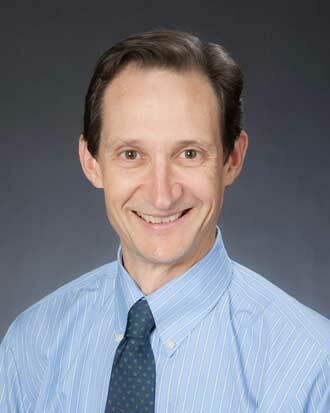 Dr. Cowan is an outstanding doctor and I am very happy to have him as my primary care provider. My experience with Dr. Cowan and nurses etc. has always been top notch. It is always a pleasure to see and be cared for by Dr Cowan. Dr Cowan is excellent (for me). We have a similar sense of humor which helps and the fact he asks about me and listens is important. I have a crazy schedule and he always fits me in (and responds to the occasional email I send). He also knows his stuff. We had a lengthy conversation on B12 for instance and he was up on all the latest research. Also, my shave biopsy was handled quickly and without incident. I feel comfortable with him and of course would recommend him but he has a lot of patients now. Also, Saturday morning hours are great. I have been with *Dr. Cowan many years. He is super! I trust him I like him a lot. *Dr. Cowan is the best! I believe that this physician is very thoughtful, extremely conscientious, and very professional. I feel fortunate to have him providing my care. He is my Guy and will always be! Dr. Cowan has been excellent for me. *Dr. Cowan is the most caring and competent doctor I´ve ever had. Please let him know how much he is appreciated. Good man and I have great confidence. Every time I see this care provider I leave his office feeling diminished and that I must be a hypochondriac. He is very courteous. *Dr. Cowan was terrific; caring, focused, professional & effective. Dr Cowan is friendly, funny and very easy to talk with. dr Cowan is great. I did not see a radiologist on the earlier question. Excellent Doctor. Very caring. Thank you Dr. Cowan. Dr Cowan is thorough, a good listener, and I like his approach to medicine and general health care. This was an appointment to establish care with Dr Cowan. I found him very interested in me as both a person and a patient. He answered all my questions, is current with the literature, and, form my experience, is taking a wholistic approach to my care. Dr. Cowan took the time to review my questions, and provided information that was helpful. He is easy to talk to and has very good people skills. I feel that he is very knowledgeable. I´ve grown to very much admire David´s intelligence, his diligence in keeping abreast of developments across the many fields in which careful healing must inform itself. Further, we a have a relationship that feels mutually interesting - inspiring, even - and I always look forward to my visits with him. Dr. Cowen it very good. The professionalism, care, and concern of Dr. Cowan is above and beyond any other provider I have had in the past 30 years. Should he EVER leave VM I would follow him. Dr. Cowan has been my care provider for years and so have the utmost of confidence in him. He is very adept at explaining any medical issues affecting me and the medications he has prescribed. Dr Cowan, as in previous visits, is a very good listener and offers sound advice about my concerns. Dr. David Cowan provided me with one of the best medical appointments that I have ever experienced. His thoughtful, caring and contentious demeanor put me at ease, validated my concerns, and made me feel as if I was a partner in my own healthcare. He is clearly very knowledgeable but his focus on patient care is the true distinguishing factor. My experience with Dr. Cowan left me feeling revitalized and energized - not common feelings for me after leaving the doctor´s office. I felt empowered to take charge of my own health, and that Dr. Cowan was my advocate in taking responsibility for my health. He was quickly able to build rapport and trust with me, and did not once make me feel judged or dismissed. Instead, Dr. Cowan extended empathy and expertise to leave me feeling much more confident in taking charge of my own health. I cannot recommend him highly enough. Dr Cowan is an exceptional asset to your organization. Dr. Cowan has clear explanations, takes time to answer questions and has a evidence-based approach when making recommendations. He is a great doctor! Dr. Cowan has a good way with patients and he knows me pretty well. He is informed and through. Dr. Cowan is a complete professional and also has a great bed side manner. He was sensitive to my problem and discussed it with me at length before recommending a treatment. I have complete confidence in him as a physician and as a person. RE: Initial intake, but courteous & warm. I appreciated it - not fond of medical appointments in general. My appointment was to establish a new primary care provider. The doctor spent the time reading my file and asking me questions. Cowan is good even though he is busy. I think that says a lot. I believe Dr. David Cowan is the BEST! I have and will continue to recommend him. I would LEAVE VW if he did! Dr. Cowen took an ample amount of time to spend with me to discuss and answer my questions. I was pleased and impressed. Provider was more concerned w/ lecturing them in listening to concerns; also kept us waiting for a simple wellness visit & shots. Dr. Cowan immediately ordered a test for flu. Quick and well done. Dave was outstanding! He took the time to get to know me. I am very excited about working with him and as an island newcomer establishing my new relationship with Dave and Virginia Mason. Dr Cowan is the best! Dr. Cowan has been my family physician for almost 20 years. He is an outstanding doctor and is always up to date on the latest treatments, effects etc. Obviously he does a lot of ongoing study. Have been with this doctor for several years and am very happy with the care he gives. I think Dr. Cowan is an EXCELLENT Doctor. I have chosen to remain with Virginia Mason and Dr Cowan. for my medical care. I have been a long time patient since moving to Washington in 1984 and moved to B.I 3 year´s ago and was able to continue my care with VM here as well. Dr. Cowan does a great job helping me manage my diabetes. Dr. Cowan has always been a fabulous doctor for my husband, myself and my daughter. I would highly recommend him as well as VA Mason BI Clinic to anyone seeking medical help. Dr. Cowan is an outstanding doctor; he listens carefully, is very knowledgeable and spent time with me, answering all my questions thoroughly. My Doctor is friendly, knowledgeable and show a genuine care for my health. Dr. Cowan is one of the best doctors that I have had the privilege of knowing over my 65 years of life, period. Very pleased with my provider. Dr. Cowan is a fantastic GP. I trust him implicitly. I feel "Dr Dave" has my best interests in mind and did not feel rushed to complete my exam. I really like Dr. Cowan and feel he does a good job helping me manage my care. My care provider Dr. David Cowan is one of the best doctors I have ever had. Dr. Cowan is awesome. He really conveys a sense of genuine concern for everyone in my family. As Dr. Cowen has suggested, I may need to see someone with more current expertise in treating diabetes. If that is the case, I will miss seeing Dr. Cowen. Dr. Cowan was very careful to make sure I am fully informed regarding medications, and the relationship to medicare. Further, he has done an excellent job over the years in referring me to VM colleagues to assist with various health issues. Dr. Cowan is professional, friendly, courteous & listens to his patients! Dr Cowan is an exceptional doctor who pays attention to the details of how interconnected out bodies our, how one condition is going to affect another condition and so in treatment, both would need to be considered. Dr. Cowan seems to be current on latest study data and best practices; if not advanced compared to other providers. I am extremely pleased with the care and caring demeaner that Dr. Cowan brings to me as a patient. Dr. Cowan is very professional in his manner and seems to enjoy keeping up on latest issues - yet he is always open to new questions and ideas. He thinks through ideas in front of me, which I enjoy. He always seems to remember me, even though he sees me only once a year. Dr Cown called me when Harborview sent him information from an ICU stay over the weekend and he gave guidance and recommendations. He also made room for me on a fully scheduled week when finding I needed a pre surgical visit to one of the VM surgeons. Doctor Cowan is top notch! Dr. Cowan is excellent GP. Dr Cowan is simply, the best! He has been our PCP for the past 18 years-and even though we moved 45 minutes away, he is worth the extra time and effort! Cannot give him enough praise: he´s professional, very smart, truly caring-and even funny, at appropriate times! Dr. Cowan has consistently provided a very high level of care. Dr. Cowan made me feel at ease and I have total trust in him and his recommendations. Dr. Cowan has always been exceptionally conscientious about addressing all my questions, explaining the implications of test results, and describing the various options available for dealing with my medical conditions. His concerted efforts to include me in all decisions about my treatment have led me to consider him the best family doctor I have ever had. I recently recommended him to another person, who will have her first appointment with him shortly. Dr. Cowan is more concerned about me than I am. We are lucky to have Dr. Cowan. Dr. Cowan is knowledgeable, genuinely caring, patient, and very good at interacting with our two year old daughter. we trust him inherently for our medical care. Dr. Cowan is an excellent care provider, very professional and competent, polite and concerned with overall patient health and happiness. I never feel rushed when dealing with Dr. Cowan. Dr. Cowan is the only reason I drive to BI. He is a fantastic doctor, and more important a fantastic man who I know and trust. I can not say or should I have to say any more about Dr. Cowan he has my trust 100 %. If you wish you can contact me by phone for more about how much I like him. Dr, Cowan is excellent, never have had anything but super service, care. Dr. Cowan and his staff have always been excellent. I felt almost instant rapport & confidence. "Small talk" quite enjoyable. Dr. Cowan is very engaging & straight, - forward & not "in change."